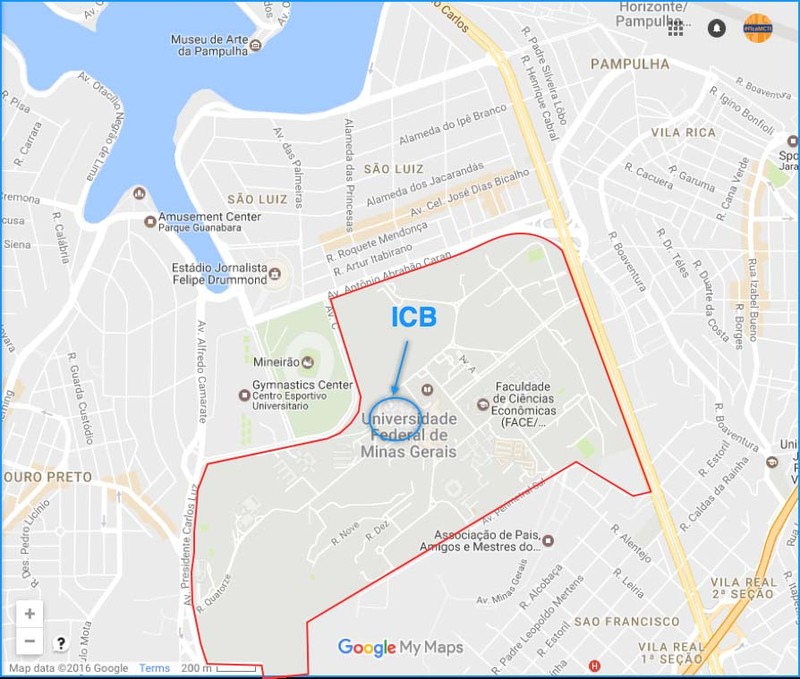 The Graduate Program in Cell Biology is located at the Institute of Biological Sciences of the Federal University of Minas Gerais, which is located in the Pampulha region. In the Pampulha region lies the Pampulha Lake with its architectural complex, made up of buildings designed by the famous architect Oscar Niemeyer and declared a World Heritage Site in July 2016. Among them, the Church of São. Francisco de Assis, Casa do Baile and the Pampulha Museum of Art. For more details about the region, access this link. In addition to the architectural complex of Pampulha, the city offers many other attractions, such as the Serra do Curral, in the southern region, Praça da Estação, Praça da Liberdade circuit, among others. Belo Horizonte is still known for being the city of bars. For more information about the city and its attractions, go to this link. In the Pampulha region there are several hotels, including a hostel. On the city's website you can find all this information by searching the Pampulha region. The university also offers accommodation for students. More information can be found at this link..